CarGurus has 74,327 nationwide Explorer listings starting at $750. When it first appeared, Ford’s rugged Explorer helped launch the legendary sport-utility craze, much of which has since evolved into the more family- and fuel-friendly crossover segment. Thus the 2015 Explorer—with its returning 7-passenger capacity in 3 rows of seating, its fuel-efficient engine choices, its further upgraded appearance, comfort and convenience features, its beefed-up suspension and its affordable price—remains a solid choice among those seeking a midsize car-based crossover ute. Expected once again to be delivered in 4 trims—the entry-level Base, the up-featured XLT, the top-shelf Limited and the activity-minded Sport—this latest Explorer iteration is slated to boast a few more tweaks when it goes on sale in the late spring/early summer of 2014. Look for a new headlight design and a curvier grille decorating the 2015 Explorer lineup, as well as a new look to the taillights. Additionally, upgraded fabrics and cabin accent materials are also scheduled to be added to the Explorer XLT, Limited and Sport trims this year. Although not as roomy as rivals such as Mazda’s CX-9 or Chevy’s Traverse, nor quite as refined as Dodge’s updated Durango, Ford’s techno-savvy 2015 Explorer, rumored to be soon rolling off production lines in China in an attempt to gain a larger Asian audience, still boasts a respectable 80.7 cubic feet of cargo space with all seatbacks folded down. Alas, second- and third-row seating remains noticeably cramped, at least according to a number of current reviews. In any case, standard front-wheel drive (FWD) returns for the 2015 Base, XLT and Limited trims, with intelligent 4-wheel drive (4WD) standard in the Sport trim and optional in the others. Be advised that the 4WD system doesn’t boast low-range gearing, but it does return with Ford’s selectable Terrain Management System to handle normal conditions as well as snow, mud and sand. 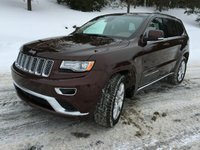 Engine choices, meantime, are slated to remain as they have been for the past few years, with the standard 3.5-liter V6 powerplant returning in all trims except the Explorer Sport. Mated with the ubiquitous 6-speed shiftable automatic transmission, look for this normally aspirated 6-banger to put out 290 hp and 255 lb-ft of torque, with mileage again estimated at 17 mpg city/24 highway in FWD iterations and 17/23 in 4WD versions. Towing, meantime, remains maxed out at 5,000 pounds with the optional tow hitch installed. Again for 2015, it's expected that FWD variants of the Explorer Base, XLT and Limited will remain eligible for the available 2.0-liter turbocharged inline 4-cylinder engine that uses a strictly automatic 6-speed transmission to pound down 240 hp and 270 lb-ft of torque. This fuel-miserly mill is estimated at 20/28, but maximum towing capacity drops to 2,000 pounds. Those needing a speedier commute can choose the 365-hp 3.5-liter twin-turbocharged V6 to return standard in the 2015 Explorer Sport 4WD trim. Again combining with the 6-speed shiftable automatic, this blown V6 throws out 350 lb-ft of torque, with towing once again maxed out at 5,000 pounds and mileage running 16/22. Depending on trim selection, 2015 Explorer variants are expected to offer standard 17-inch steel wheels, 18-inch painted alloy wheels or, in the Limited and Sport trims, 20-inch painted alloy wheels. A roof rack remains standard across the lineup, as does a rear spoiler, with cloth or, in higher trims, premium cloth or leather upholstery complementing trim-dependent heated power-adjustable front seats. All Explorer iterations also boast reclining second-row seats, cruise control, telescoping tilt-wheel steering and full power accessories, while higher trims add stuff like standard dual-zone and tri-zone climate control, basic Sync and Sync with MyFord Touch that comes accompanied by voice directions and touchscreen displays. Bluetooth hands-free technology is back, as well. Also look for both the Limited and Sport trims to once again throw standard power-adjustable pedals and memory for driver's settings into the mix. Standard entertainment ranges from a single-CD player and 6 speakers in the Explorer Base to a 390-watt Bose Premium system boasting 12 speakers, a video monitor, Surround Sound and a memory-card slot in the Limited and Sport. Options, again trim-dependent, include remote engine start, a power liftgate and Active Parking Assist that’ll ease the frustrations of fitting the Explorer into a parking slot along the avenue. Further available upgrades for higher trims include BLIS (Blind Spot Information System) with cross-traffic alert, rear-seat DVD entertainment, adaptive cruise control with front-collision warning, lane-departure warnings and high-intensity-discharge (HID) headlights. Finally, standard safety equipment across the 2015 Explorer lineup is expected to include the usual 4-wheel antilock braking (ABS), traction and stability control, front side-mounted airbags, and front and rear head airbags. A front passenger knee airbag is also delivered standard, as is a post-collision safety system with SOS Post Crash Alert. Additionally Ford’s praiseworthy MyKey safety programming technology for, among other things, speed and audio-volume limitations, also comes standard lineup-wide. 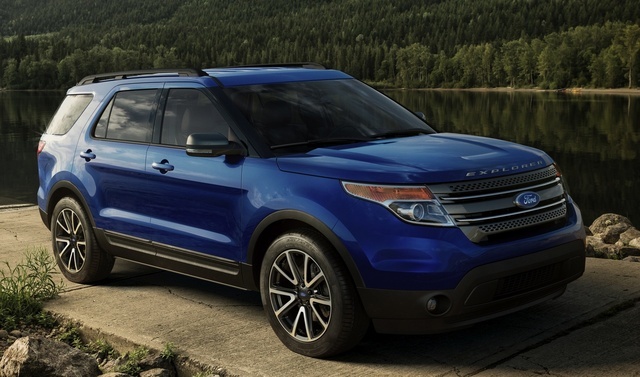 What's your take on the 2015 Ford Explorer? 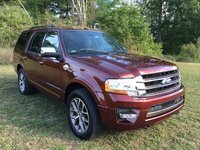 Users ranked 2015 Ford Explorer against other cars which they drove/owned. Each ranking was based on 9 categories. Here is the summary of top rankings. 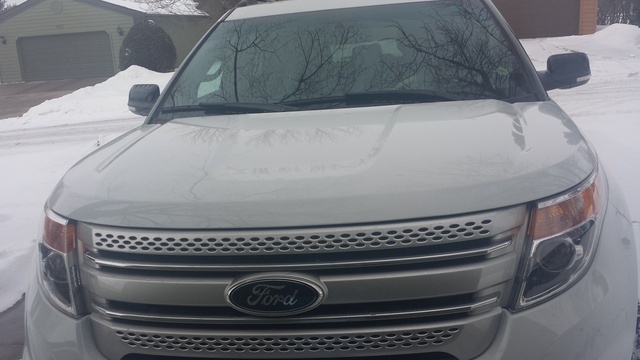 Have you driven a 2015 Ford Explorer? My a/c is blowing cold air on one side and hot air on the other and yes all the controls are adjusted properly and triple checkd.